VMfitness: P28 Bread Review and GIVEAWAY Rules! 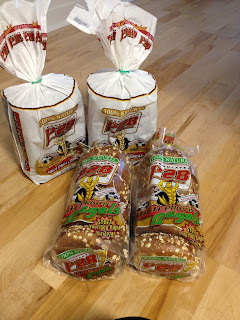 P28 Bread Review and GIVEAWAY Rules! This is like WONDER POWER BOOM MUSCLE Bread! JAM PACKED with protein, super clean ingredients, and it's perfect for those of us on that fit and healthy lifestyle! 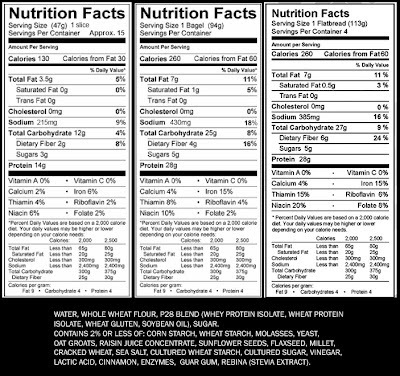 Check out the awesome nutrition facts for its Whole Wheat Bread, Whole Wheat Bagels, and their Flat Wraps! Click here to see ALL the benefits of their bread for your body! "P28 is 100% Natural. P28 makes it easy to get a perfect balance of protein and carbs in every meal. 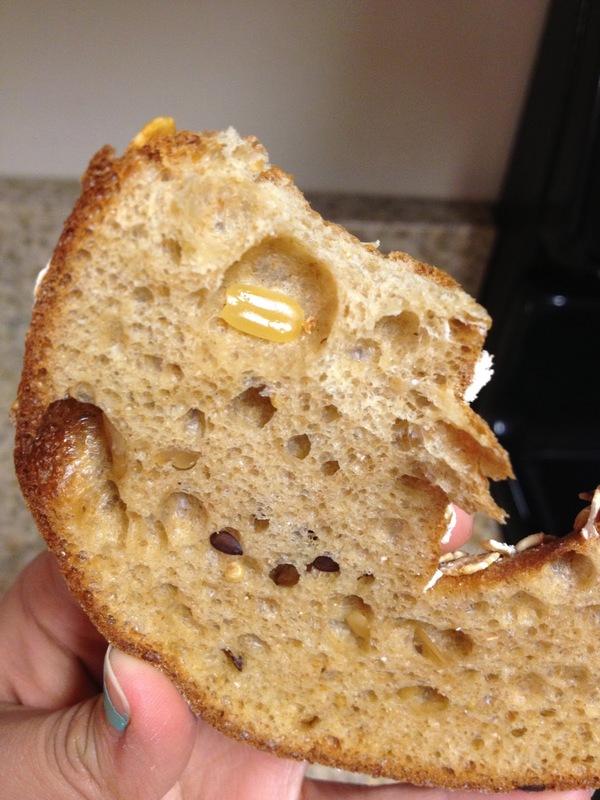 28 grams protein in two slices, one single bagel, or one flat bread. P28 is made with 100% Whole Wheat, 100% Whey Protein Isolate, Oats, Flaxseed, Sunflower Seed and Millet. P28 contains important Omega 3's, and is a rich source of 8 essential Amino Acids. This product also is cholesterol free and a good source of fiber. P28 makes a great pre-post workout snack when nutrition is the most important. Don't have time to prepare a meal and need to get to the gym? 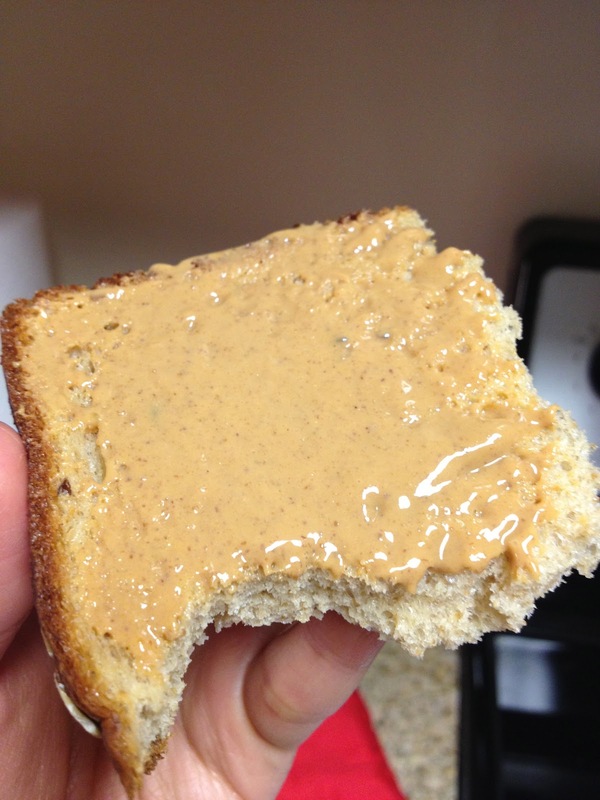 Just add two tablespoons peanut butter and you have a healthy snack jam packed with protein. We are pleased to present to you our brand new P28 High Protein Bagels. They are 100% Natural, 100% Whole Wheat, and jam packed with 28 grams of protein. Each bagel is carefully formulated to provide you with the highest quality ingredients possible. Each bagel is made with the highest quality source of whey isolate protein, Oats, Flaxseed, Sunflower Seed and Millet. Our P28 Bagels also contain important Omega 3's, and is a rich source of 8 essential Amino Acids. This product also is cholesterol free and a good source of fiber. Breakfast is the most important meal of the day. Start your day off right by grabbing a P28 Bagel and enjoying your favorite breakfast sandwich. Hit the day running strong and feeling great! Grabbing a quick snack? Don't rely on fast food that just ends up slowing you down. 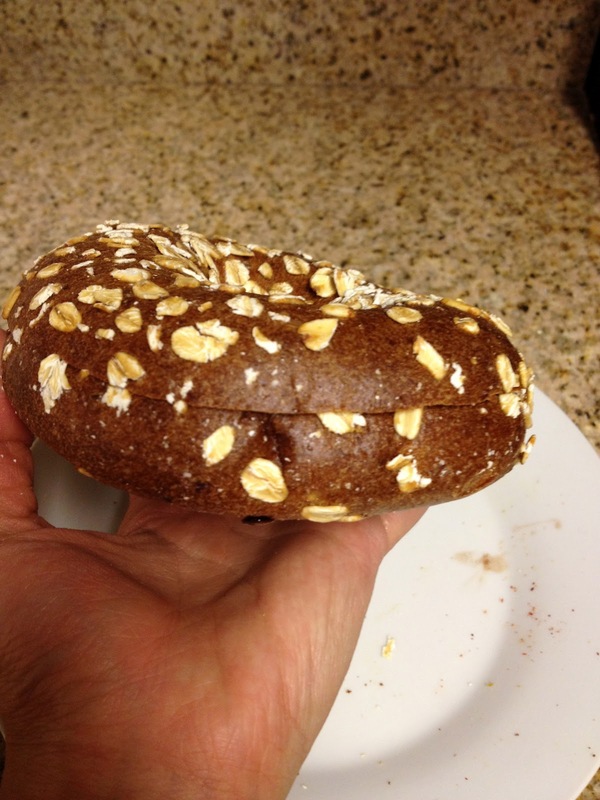 Grab a P28 Bagel, satisfy your hunger and fuel your body! 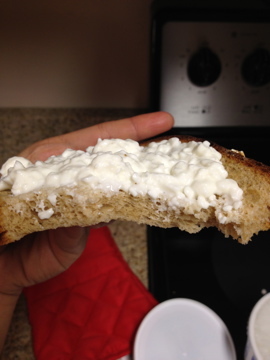 28 grams of Protein per two slices of Bread, each Bagel, or each Flat Bread. Excellent for people who are trying to build muscle and/or lose body fat." I was fortunate enough to get samples of the bagels and breads to review for you all! And ALSO, I'll be hosting a giveaway! There will be TWO winners, one for the Bread, and one for the Bagels! The details for that will be at the end of this blog post! My first impression when I opened the bread bag: these are HUGE slices! Oh my gahh it was awesome, because I love bread, the more the better! It was so SOFT and fluffy, but definitely sturdy! 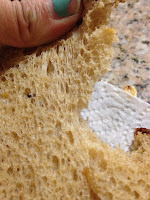 When I ripped the bread apart: it's a tough bread, but it's sturdy and will hold up well with fillings (if you wanted to make a meaty muscle building sandwhich ;] ). Looked kind of spongey when I ripped it apart! These babies are pretty big also! The bagels are already presliced for your convenience, which is nice! 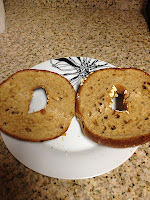 It takes a good tug of the teeth to bite the bagels, but man it was SO YUMMY. 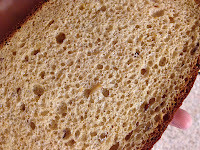 It's also chewy just like the bread, just a little tougher to bite off. Both the bread and bagels had a sweet taste to them! When I topped my bread with some cottage cheese (one of my favorite combinations), the sweetness of the bread was so light and mild and it just tasted so darn GOOD. The bagels weren't AS sweet, but I could still taste a hint! 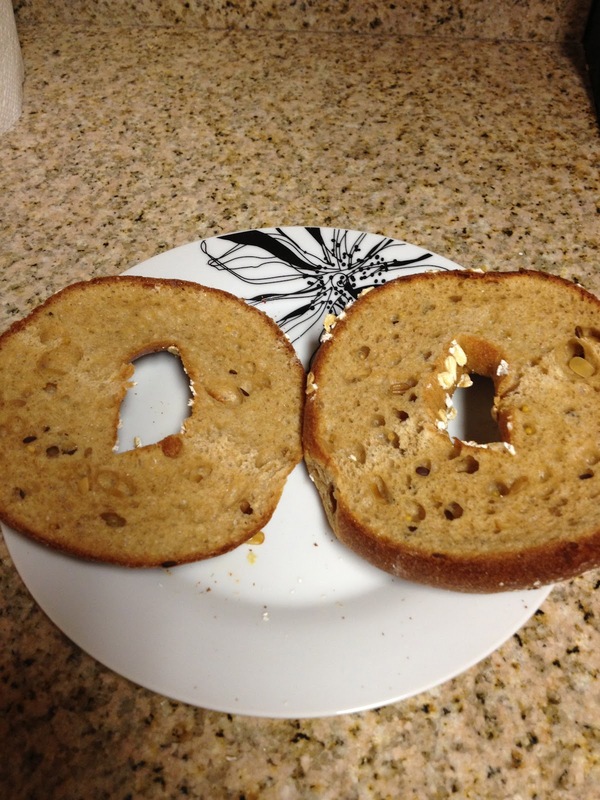 The bread and the bagels were both thick and huge, and definitely filling! Especially with all those awesome ingredients and proteins in there! 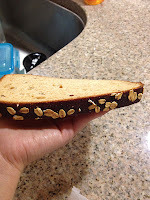 I loved the fact that I could SEE the clean ingredients, like the oats and sunflower seeds and all that grainy goodness. I would DEFINITELY get this again! It's made of such great ingredients and is so healthy for you! Plus the extra punch of protein makes me know it's allll going towards this dream of a tight toned body! 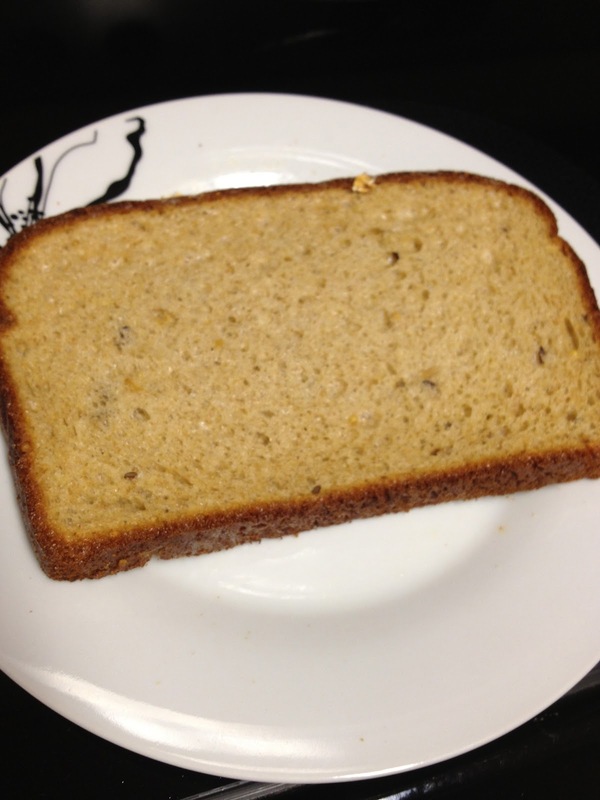 One HUGE slice of bread for 130 calories, 7 NET carbs (left after fiber and sugars removed) and 14 grams of protein?! One huge bagel for 260 calories, 16 NET carbs, and 28 grams of protein!?!?! PRETTY AMAZING IF YOU ASK ME. If you want to try some samples before being a whole bag, you can click here to purchase some! Only $3.99 and they pay for your shipping! SWEET! You can enter TWICE - once on here, and once on instagram! 2) Leave in the comments what your favorite toppings or favorite thing to eat with breads or bagels is and the first thing you'll try with P28 if you win! 2) Upload a picture and hashTag #vmp28entry of your favorite way to eat breads or bagels and include what you'll try first with P28 if you win in your caption! DON'T tag @vmfitness, just #vmp28entry ! I'll be choosing 2 random winners on Friday, October 12! I have been wanting to try this bread for so long! I live in a small town, and it's so hard to get to a health food store of any kind. I love, and would definitely try on the P28, some laughing cow light cream cheese with some sliced strawberries! email me at vm.fitness@yahoo.com you shipping info! My favorite thing to eat with bread is peanut butter and sugar free grape jelly! Or peanut butter and slices of bananas. OMG... I'm craving that now. The first thing I'll try with the P28 bread is definitely a PBJ sandwich topping it off with some chai seeds. Yumm, Yumm, Yumm! 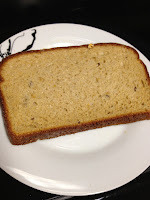 I follow you on instagram and just created a blogspot JUST to enter this contest because i've been hearing AMAZING things about this bread and have been dying to give it a try. i'm a bread fanatic but carb conscience because i'm a health freak and what better way to enjoy bread than with a minimum of 14 grams per slice!! Whether it be french toast, a simple sandwich, a bagel, or wrap on a flat bread there's SO many ways to enjoy p28! the number one way i would enjoy p28 is making a healthy protein packed french toast! you don't even have to add a protein topping because the bread gives you all the protein you need to cut back on calories by just using a little agave nectar! 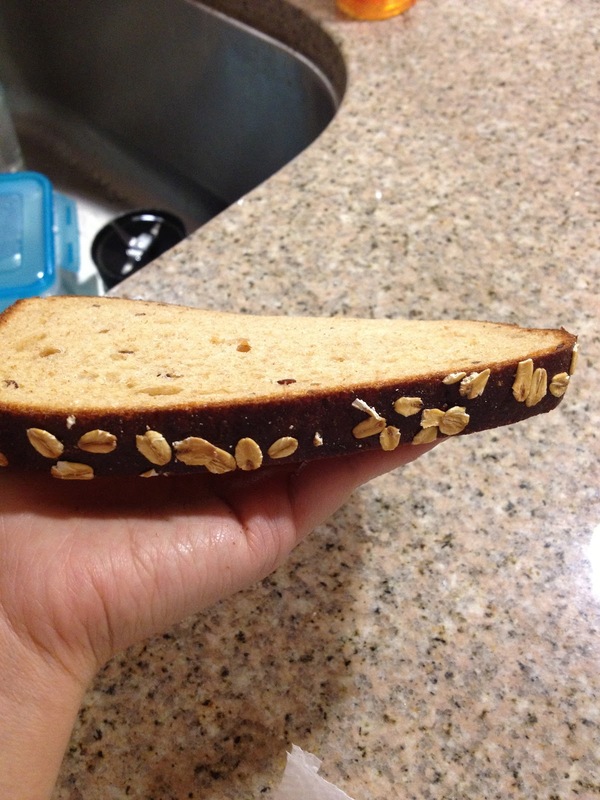 and because of the protein packed bread, you have your carbs, protein, and healthy fats! p28 is just perfect for fitness freaks! Your blog is amazing and inspirational. 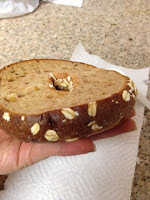 I've been searching for healthy breads and bagels forever! I love my ezekiel bread, but this bread is packed with protein. 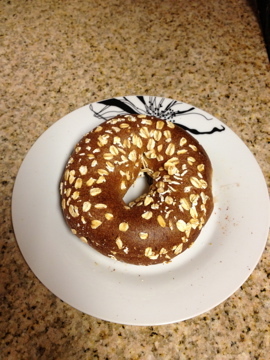 I crave bagels all the time but they all have added sugars and artificial ingredients :( if i have p28 bread, i would put FROZEN banana slices with cottage cheese and a sprinkle of cinnamon on top. I would also put banana and marantha sunbutter on top as well. 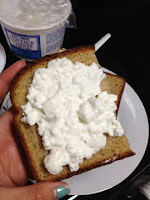 I love putting cottage cheese on top of all breads, or nut butters of course. Almond and sunbutter are my favorite :) I also love frozen strawberries or banana on top of breads. And of course a little sprinkle of cinnamon adds to the greatness of any meal! YOU WON! email me at vm.fitness@yahoo.com you shipping info!